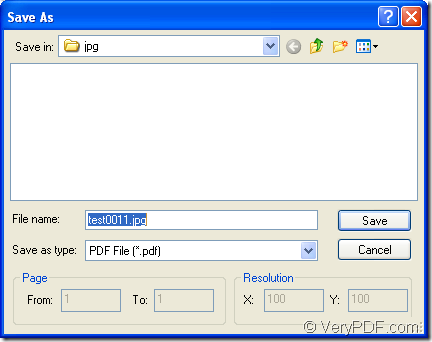 You are allowed to create the document of pdf from jpg format image within just two steps—1. Add the jpg image to the application you use. 2. Save the image to the pdf format. The application you need to use is the product of VeryPDF—PDF Editor. 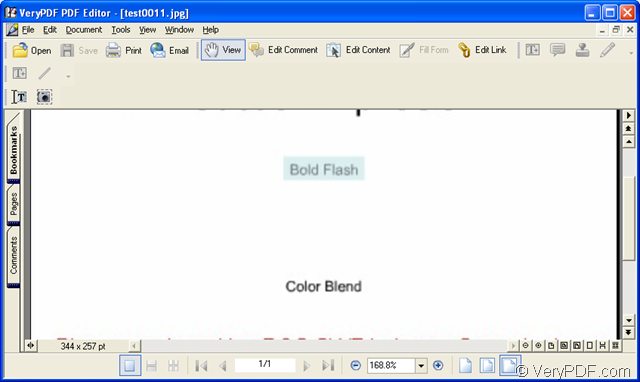 It can convert the document of pdf to many kinds of image formats such as EMF, JPG, BMP, TIFF, etc. It also supports to convert different kinds of image to pdf format document. 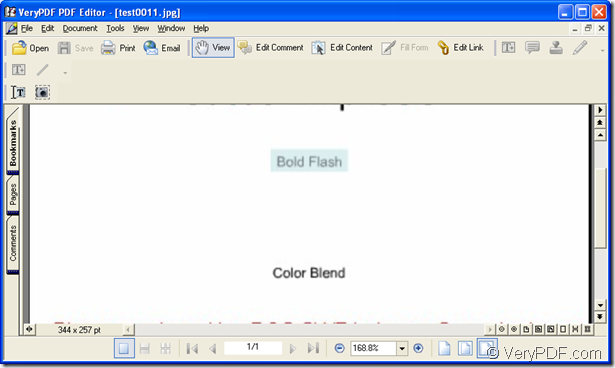 If you use it to edit your PDF document, you can edit the text, images, for the document. You can also add some information to the document such as the annotations, links, etc. 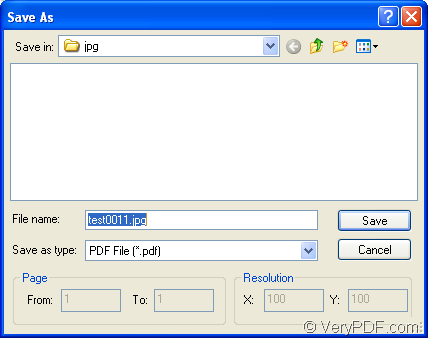 You can download PDF Editor at http://www.verypdf.com/pdf-editor/pdfeditor_setup.exe for getting the free trial version. Please install it on your computer according to the setup wizard. Then you’d better create a desktop icon of the application for your conveniently using it. Then please see the following steps for creating pdf from jpg. Please open PDF Editor by double clicking its icon. Then you will see its friendly user interface on your screen. Please see it in Figure 1. Click “Open” button on the toolbar. Use the hot key “Ctrl”+ “O” combination on your keyboard. Before creating pdf from jpg image, you can browse the jpg file in the application for a good result such as you can zoom in or zoom out the image. Or show the image with “Actual size”, “File page” or “Fit width” options, combine several pages on one single sheet before the conversion, etc. Please click “File” and click “Save as” in the dropdown list to open “Save as” dialog box. Please see it in Figure2. Please choose a suitable location for the output file in “Save in” combo box. Specify the right output format as “PDF File (*.pdf)” in “Save as type” combo box. Then the conversion will run itself and you just need to wait for several seconds until you can see the target file in the location you have just set. For getting more information about the application PDF Editor, please enter its homepage at: http://www.verypdf.com/app/pdf-editor/index.html. I can add stamps by both annotation and comment with VeryPDF PDF Editor, what is difference between the two ways? This entry was posted in PDF Editor and tagged pdf from jpg. Bookmark the permalink.